This witty mug will give your colleagues a chuckle. 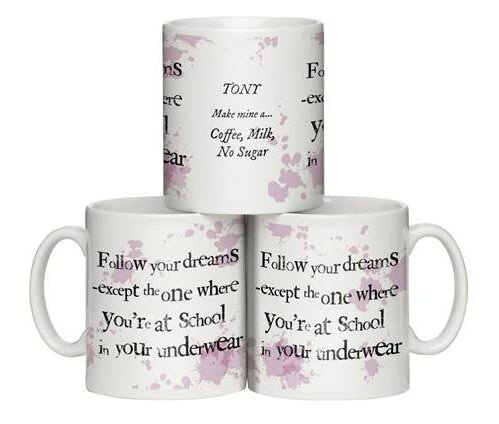 With a distinctive design the mug is personalised with a name and a beverage choice. The 10oz ceramic mug is dishwasher and microwave safe, and scratch resistant. Personalise this 11oz white ceramic mug with your chosen name of 15 characters. The wording 'doesn't exist without coffee' is fixed text. The wording 'Doesn't exist without Tea' is fixed text.